Hello everyone. This is the 4th part of this SOP. If you don't read yet the first 3 parts you can read them from the following links. Planning in its broader sense means systematic preparation for action. 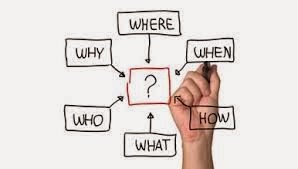 To decide before start where a company want to go and how they are going to get there. Therefore, planning is a rational process characteristics of all human behaviors for actions individually or collectively to accomplish certain objectives. In the most economical and efficient manner. To take export order considering the production facility regarding the technicality, capacity and the timing. To consult with the sample dept. regarding the approved sample, specifications and technical details of the ordered articles. To make a production file along with PD(Product Development) dept. detailing the specifications and the required quantities of material and issue to the concern dept. after necessary approval. To study the consumption of material. To make production plan to facilitate the operation to take necessary preparation in terms of machinery, manpower and material. To give material requirement to the procurement dept. To test material as per Buyer/Customer’s requirement. To consult with the Production Managers regarding the machinery and manpower. To make a checklist for all the necessary items such as equipment, material, accessories, auxiliary chemicals, packing materials etc. and update on daily basis to follow-up and ensure the availability on time. To maintain liaison with the customer, PD(product development) and make necessary adjustment. To communicate with the customer and provide the necessary service to satisfy them. To conduct a pre-production meeting with the concern people for ensuring un-interrupted production. To give production schedule to the customer as well as the production people and follow it up to maintain. To visit production floor for having a track whether the things are moving in the right direction or not. If not to co-ordinate among the persons concern for necessary adjustment. To give inspection report to the customer for shipment approval. To conduct the third party inspection where ever necessary. To communicate with the shipping dept. for final shipment. To confirm the shipment status to the customer after passing the final inspection.